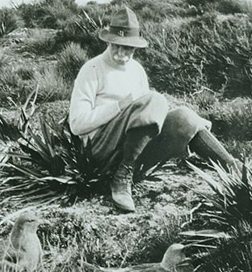 Guthrie-Smith, Tutira is the legacy of Herbert Guthrie Smith and his vision of creating an ecologically-important haven for a wide section of native birds and a repository of rare and endangered trees, plants, and other flora. Today, Guthrie-Smith is a haven of beauty and majesty. We invite you to come and see for yourself. We are open on Sundays from October to the end of May. Entry to the Arboretum is free. however we do value donations which assist us with the on-going maintenance of the Arboretum. To arrange a visit outside of general opening hours/months please contact the Curator to make a time.